Milton Keynes-based serviced office provider i2 Office is just about to open its brand new business centre in Greenwich, south-east London. Offices.org.uk went to visit the new offices and spoke to i2 Office’s Chief Executive, Philip Grace. 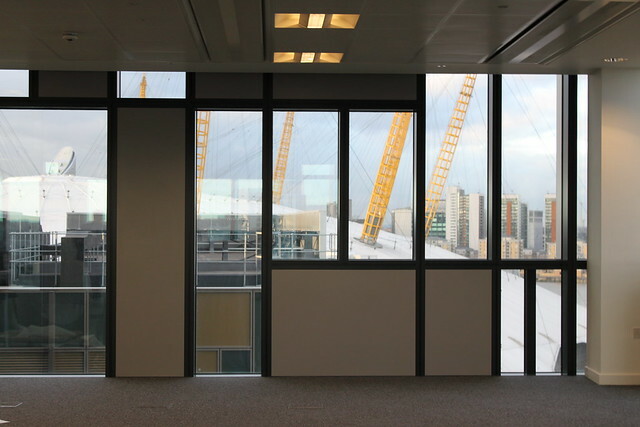 “It’s like a breath of fresh air,” he says as he shows off the newly fitted out 8th floor offices that are just a stone’s throw from The O2, formerly known as the Millennium Dome. “The sky seems higher in Greenwich, because you have got so much space,” he adds. It’s a big year for Greenwich, with royal status being bestowed on it by the Queen, the reopening of the Cutty Sark and the Olympics coming to town in the summer, but what is it that sold SE10 to i2 Office? 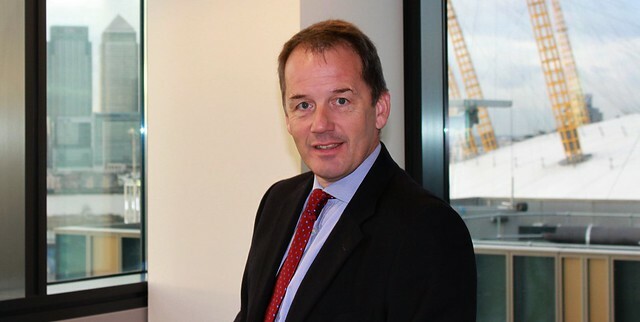 “I think the opportunity to trail-blaze and have a serviced office in this location appealed because there are a number of serviced offices in Canary Wharf but by coming here, we are not competing head to head with Canada Tower and we’re able to deliver in an environment which is slightly different. “It feels energising because you’ve got the O2 arena and you’ve got the things that are happening here like the Emirates Airline [cable car across the Thames] and you’ve got people going to be walking over the O2 [a new visitor attraction being built this year]. 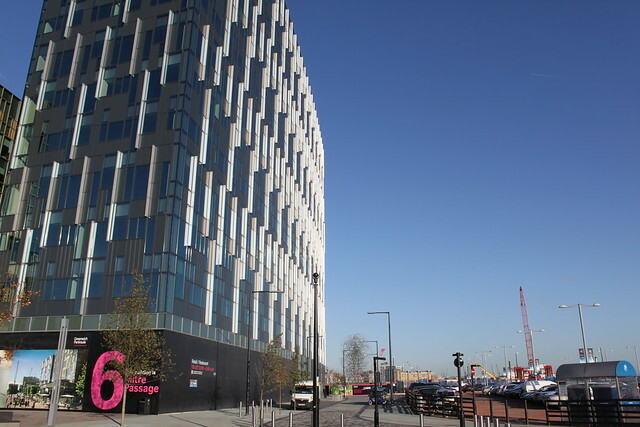 The new offices are in Quintain-owned 6 Mitre Passage on Greenwich Peninsula – a building that was completed several years ago. What’s made now the right time for a business centre to be established there? “Until now the owners of this building had been trying to rent it on a floor by floor basis. What we know from our background and what we’ve done for so long is that people don’t want to take 10,000 sq ft on traditional rental terms. What people want is a smaller amount of space, maybe a two or three person space or it could be twenty people, but what they want is flexibility. “Would we have done this back in 2009? Probably not. What’s happened here is that the area has started to mature. We believe we have come in here just at the right time. Early enough to capture some Olympic activity and the buzz surrounding that but at a point when the local area is maturing as well. Financial experts are predicting a gloomy year ahead for the economy. Does he think there will be enough interest in somewhere like Greenwich for a business centre? “In times of economic disarray – we’ve been in a recession for sometime despite what people say – new companies will form. People who had worked in the public sector will take their packages and start their own businesses. People in the private sector might be forced to change job and decide to create their own business. “One of the things we are well placed to do is provide a home for those businesses. We intend to work closely with Greenwich Council to encourage not just existing mature businesses but start-ups as well. We’d like to have a mixture of clients: new start ups, established businesses, SMEs and blue chips. “You have lots of residential developments taking place so lots of people are going to live very close by and we feel that by having a business centre here we’re going to attract people from there, but also we feel that we can attract people coming the other way because of the price. Just as the final fit-out is being completed at Greenwich, a new business centre from i2 Office is announced in Manchester city centre. Grace explains their plans for continued growth over the next year. “Our strategy is to have a business centre in each of the major citities throughout the UK. We firmly believe that the world does not stop at Watford. We firmly believe that there is life in provincial cities. Many of my competitors are centric toward London so they will be able to deliver serviced offices in London but then struggle to be able to do that outside of London. We’re trying to join the UK up in terms of providing services in Glasgow, in Manchester, Leeds and London, Watford and Milton Keynes. As i2 Office speedily develops its presence across the UK, so its “i2 Access” solution is able to offer more value. The new subscription service allows members to turn up at any the company’s centre’s and use the facilities for a set number of days per month. Grace believes demand for this kind of “workhub” solution is set to grow. “The way that people now work is that they are very transient. People are no longer tied to a desk and particular location. “It’s great to think you can come into town and work from one of the coffee chains but its noisy, they play the music too loud and they turf you out if you don’t buy enough coffee. Here, you’re able to work in a professional business environment, meet people such as suppliers or clients, book a meeting room or meet informally in one of our cafes, get a cup of coffee and do it properly rather than trying to do it round the table in a coffee shop. Grace is proud of the IT offer that the company has, describing it as a “great USP” for the firm. “One of the areas that my competitors fail in is IT. One of the luxuries that we have is that being a relatively new company, we’re putting IT in from scratch: brand new and state of the art. “So we will to bring into each of our buildings 100 MB up leased line connectivity, 2mb of diverse routing so we can do things over the internet that many of my competitors can only dream about. “An example of that might be if a company came to us and said we need 40 MB of leased line connectivity this afternoon, for the afternoon, for a particular project. We could do that. None of my competitors could. Looking out from the floor-to-ceiling windows and admiring the iconic views in every direction – Canary Wharf, the O2, the Olympic stadium, the Thames Barrier, the new cable car and of course, the river itself – it’s easy to see why Grace seems so enthused about the latest addition to the company’s portfolio. With almost 30% of the space let before it’s open, the move to Greenwich looks set to be a successful one, and 2012 looks set to be as busy and frenetic as 2011 was for i2 Office. This entry was posted in Misc and tagged i2 Office. Bookmark the permalink.